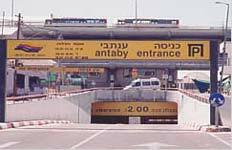 Albert Antébi (1873-1919) was one of the protagonists of the Jewish settlements in Ottoman Palestine, which had been started before him, in 1882, with the logistic support of people from the Alliance Israélite Universelle (AIU), especially Charles Netter (1826-1882) and his followers under the direction of the agricultural college, Mikveh-Israël which he had founded as early as 1869, near Jaffa. We told their story in Les Missionnaires Juifs de la France (Calmann-Lévy, 1999) and in Edmond de Rothschild. L’homme qui racheta la Terre Sainte (Rocher, 2003). (Foreign rights and English manuscript held by the Crawford Publishing Cy, Adelaide, Australia). Antébi, who was born in Damascus, and sent to study at the Institute of Technology of Paris and was, then, engineer at Arts-et-Métiers (Chalons-en-Champagne, and then Angers), spoke fluent French, Hebrew, Arab, English, and was competent in three or four different systems of law  Beth Din, Charia, French Law, Ottoman Law. We told his story and the story of the era i (L’homme du Sérail, NiL, 1996), or The little Jewish Pasha of Jerusalem : English rights and translated manuscript are held by the Crawford Publishing Cy, Adelaide, Australia..
To the left, the visit of Djemal Pasha, in 1915, to Rishon-Le-Sion, near Jaffa. 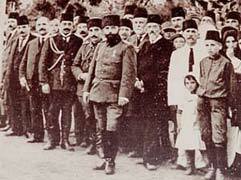 The tall elderly man in black, behind the left shoulder of the tyrant, is one of the Bilou pioneers from Kharkov, Meir Meierovitch. The second on the left in the photo is Antébi. 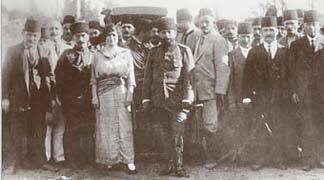 Photo on the right : Antébi is far left, beside the military Governor in Palestine during the First World War. To the right, Meir Dizengoff, founder and first mayor of Tel Aviv. and another in Tel Aviv , with a car park named after him.